Today I want to pray for little Sony Jean. He cracks me up because he acts like a really old man in a little kid’s body. He’s always so serious and usually has his characteristic frown on his face. It may be rare to catch a photo of him smiling but when he does it lights up his whole face! He loves being around people and being held and also hanging out with his big brothers, they always have such fun playing games together! Recent big news in Sony’s life is that he got a haircut! Which is a big deal for since he was very particular about his hair and had long braids for such a long time. But I think it looks nice! Today I want to pray over Sony, that he’ll strive after the Lord. He’s such a little guy but he’s already grown so much in a few years and I pray that God will continue to grow and mold him into the man he will be. I pray that Sony, who doesn’t really seem to favor change, will trust God throughout all the changes in his life and be ever thankful for the way God works big changes in our lives. I pray that God will work through him to bring great change to the community he’s a part of and that He will use Sony to reach people for Christ. I pray that his life will be an example to those around him, that he’ll continue to love and support his family, and that he’ll never lose that God-given joy that I know he has in heart. Thank you for joining me in praying around this precious child of God. 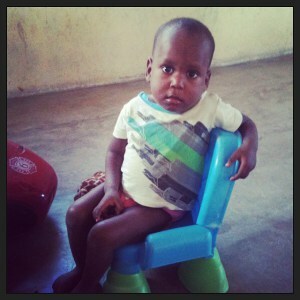 And if you’re interested in sponsoring this serious guy, Sony has room for 2 more sponsors in his family tree! That means only 2 more sponsors till he’s fully surrounded by support! Please pray and seriously ask God if He’s calling you to be one of those last sponsors for Sony, to join his family tree and cover him in love and prayer. If one of those spots is for you, check out his sponsorship page here to get signed up! And NWHCM will be one step closer to the goal of having 50 various residents – orphans, special needs, and elderly – fully funded!